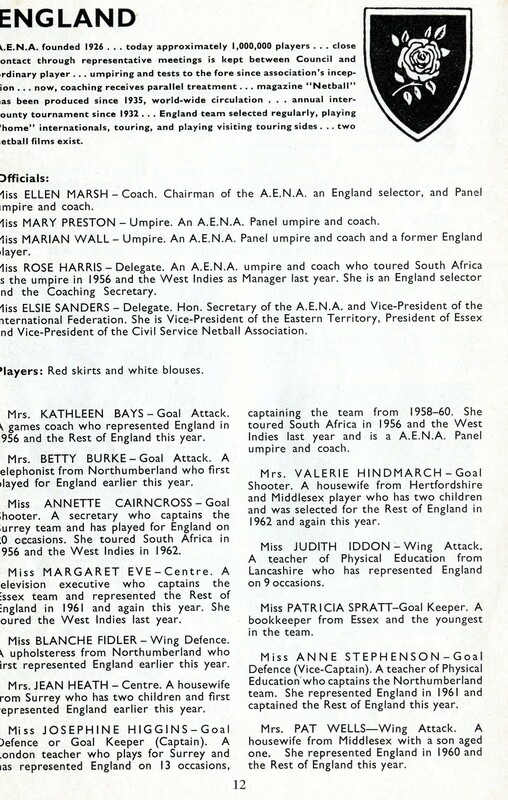 The programme from the first World Netball Tournament held at Eastbourne in 1963 had detailed information about the squad members from all the competing countries. Here you can see a picture of the players and read information about the whole squad. You will find some familiar names here. 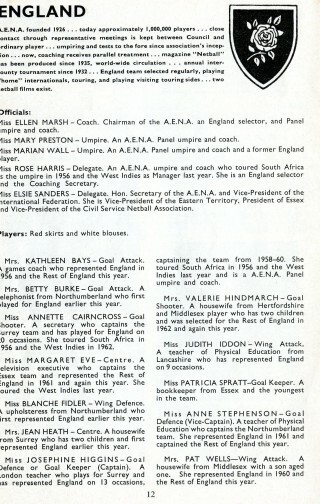 You can find out more about all the players and which teams they played for by viewing the team information image. 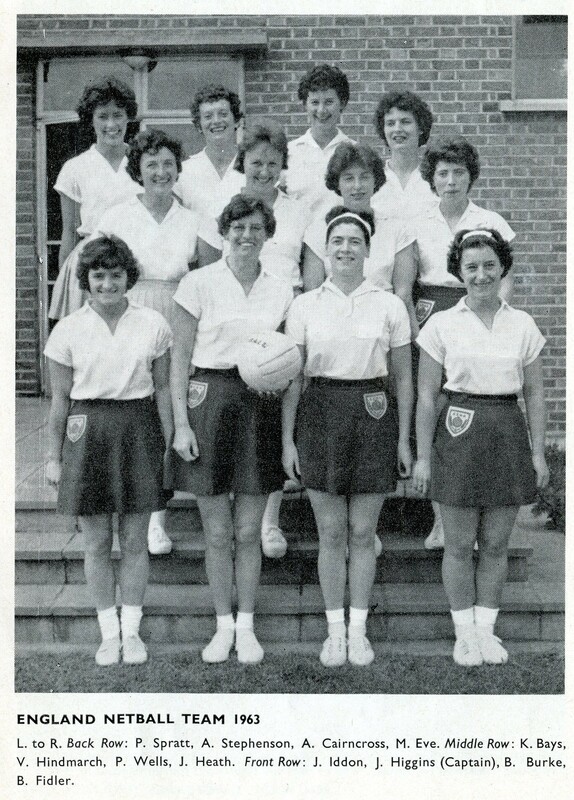 This is the first time I have seen this page or learned of the death of Betty Burke, who was great fun and a talented Player. I always met her at the Inter Counties and later we met at a County League Match and always had a good natter. My thoughts go to her Family with sympathies for their sad loss. 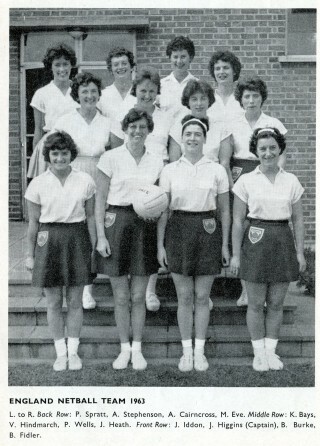 Regarding 1963 – what an experience. I could write reams about kit, practice, training, colleagues and opponents but it would be too lengthy. However it would be great to catch up with any survivors of that Squad – the first to play in a World Tournament. Incidentally my Christian name is Pat and not Jean and my Surname is now Harris (formerly Wells).